Since the biggest challenge sometimes with anything is simply getting started, I thought I’d share a little humor about procrastination. 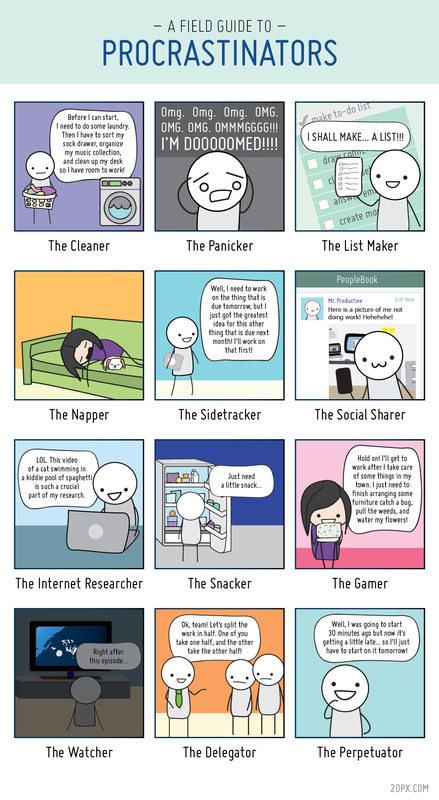 What type of procrastinator are you? Me? I’m a list maker, an internet researcher and when it’s really bad… a cleaner. If I chose doing laundry over any other task, you know I really don’t want to do whatever it is that I should to be doing. Getting organized is the second most popular New Year’s resolution, right behind getting in shape. This tells us most people want to get organized, but struggle to get there. We know getting our “affairs” in order is the responsible thing to do and it will feel good to free our minds of nagging worries, but we all procrastinate when it’s time to get started. From one procrastinator to another, I can tell you that it’s easier than you think. From creating and maintaining routines, organizing your paperwork and passwords to finding a professional, it can be done. We typically put things off when we find the task unpleasant, when we feel overwhelmed and when we think we can complete it perfectly. Here are the common procrastination obstacles and how to get over them using The Torch. If you go on vacation, how many times do people have to call you for things? Where’s the…? How do I…? If you are unreachable and can’t be in charge, then who should be? Choose two people you trust and make sure they can easily contact key people who can help them. If you do get unexpectedly sick or injured (or want to extend your vacation), you want to be sure they can easily contact your doctors, care for your children and pets, run your business and pay your bills. There is no need to share any personal secrets. They don’t need to know everything, they just need to know where to find it when they need it. Like where to find documents, if statements come to mail or email, or if bills are on auto pay. You might not have (or even want) the “recommended” insurance or legal documents and that’s your choice, a lot of people don’t. Letting your loved ones know what you DON’T have is just as valuable as letting them know what you do because it can save them time and stress looking for things that don’t exist. The Torch can help you organize life’s essential instructions safely and efficiently. Everything you need is usually in your head or your cell phone and you can start and stop easily when you feel the need to game, snack or nap. Comic illustration by Angela Liao, 20px. Published with permission. P.S. If you need a gift for a procrastinator, we think these mugs are hilarious! 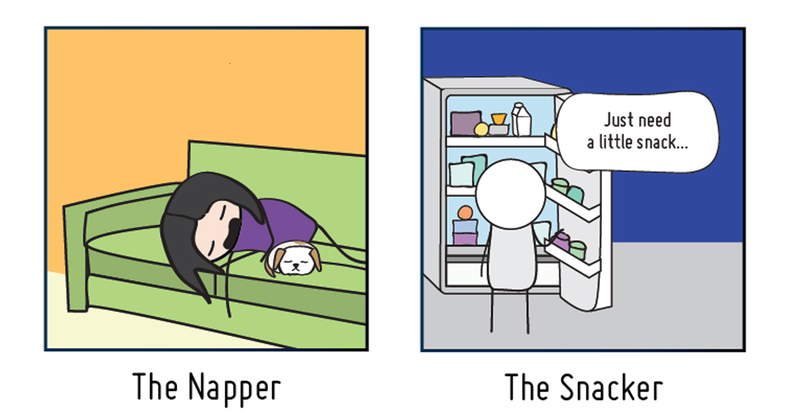 Don’t forget to let leave a comment and let me know what type of procrastinator you are!